The Atacama field series, named after the Chilean Atacama region, one of the driest areas in the entire world, was the inspiration for the launch of Luminox’s Field series. Introduced in 2010, newly added to this series of Field timepieces is yet another extension to the series. Two new offerings take the gun metal look to a new level by adding gun metal PVD plated bracelets to match their cases. The newest pieces, a day-date model (1824) and a chronograph alarm model (1844) round out the collection and add a more rugged sophistication. These two new extensions offer rugged durability that can withstand the most challenging conditions. Both versions have 42mm case size and brilliant sunray blue dials with gray markings that match their gun metal plated bracelets. 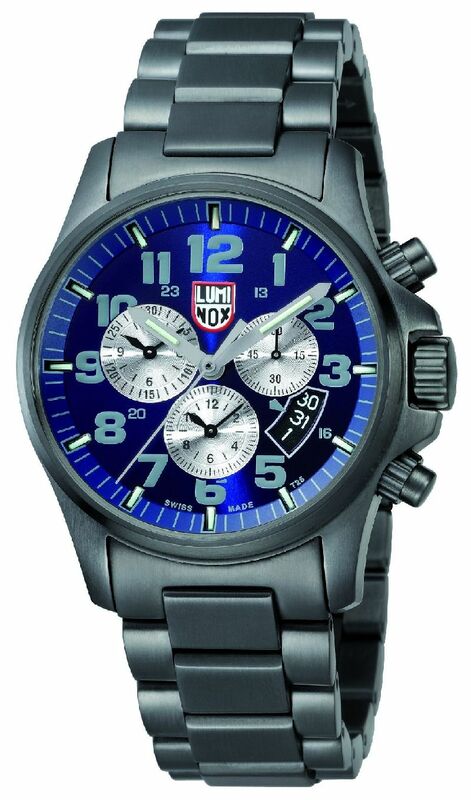 All the Atacama timepieces use the Colormark concept that has performed so well in other Luminox models. The Chrono Alarm models feature the innovative and proprietary highly audible sound box construction for which Luminox is renowned. Water resistance ratings are 200 meters for the day-date model and 100 meters for the chronograph model. 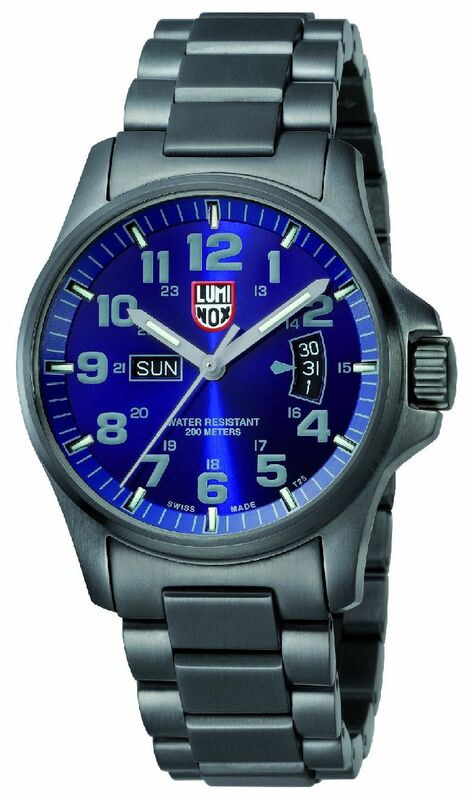 Luminox has yet again breathed new life into a very traditional Field watch category. The new Atacama field gun metal plated bracelet gives the once rugged looking watch a very sleek and everyday feel without loosing its original functionality.